Isle of Skye - Full Day - a day of stunning scenery, quaint villages and historic glens. Come and see for yourself! Exploring, we’ll travel down the sweeping landscape of Glen Carron, passing the deep Loch Carron. 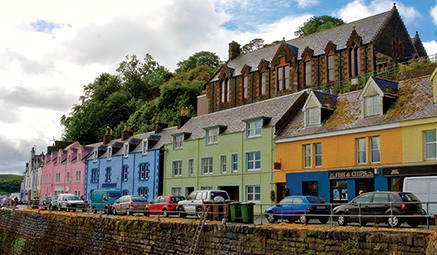 Heading over the Skye Bridge we’ll come to explore Portree; with its beautifully colourful seafront houses and its rich history featuring Bonnie Prince Charlie. Heading back to the hotel, we pass through the pretty mainland town of the Kyle of Lochalsh. 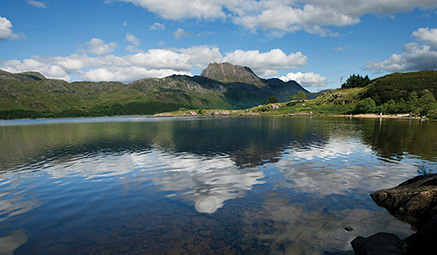 Gairloch, Loch Maree & Poolewe - Full Day - travelling through the stunning scenery of Wester Ross, a land of tranquil lochs and magnificent mountains, with wildlife abound. Journeying through the idyllic Highland villages of Achnasheen and Kinlochewe and along the banks of the intriguing Loch Maree, dotted with pine wooded islands, to Gairloch. Time to wander this quaint village, with spectacular views and sandy beaches, before moving on to Poolewe on the banks of Loch Ewe, with a chance to visit the lush, sub-tropical oasis of Inverewe Gardens (at your own expense). We return to the hotel via tranquil scenery of the east coast of Wester Ross, passing through Aultbea and Dundonnell.